Unless you've been hiding under a rock I'm sure you can't have missed the buzz surrounding Paula Weston's debut novel Shadows since it's release last year. Well Shadows has finally hit the shelves in the UK thanks to Orion and I was thrilled to be invited to take part in the UK blog tour to celebrate it's publication. 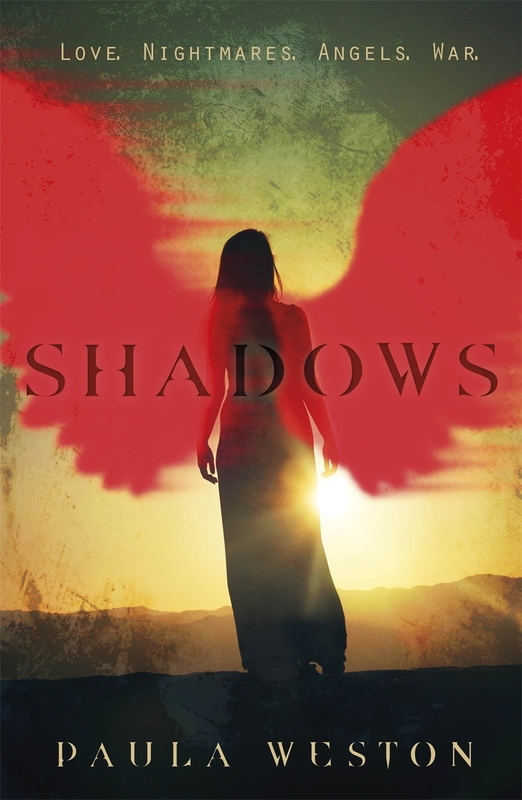 I'll be posting my full review later today but Shadows is a fantastic urban fantasy debut and I can't wait to read more from Paula in the future. Every night in her dreams Gaby Winters kills demons. It's been almost a year since Gaby was in the car crash that killed her twin brother, Jude. Her body has healed, but her grief is still raw and constant. Across a crowded bar Gaby sees the man of her dreams, literally. Rafa not only looks exactly like the guy who's been appearing in Gaby's dreams, he claims a history with her brother that makes no sense. Now Gaby is forced to accept that what she thought she knew about herself and her life is only a shadow of the truth - and that the truth is more likely to be found in the shadows of her nightmares. Visit Paula Weston's website for more information. Now I'm going to hand the reins over to Paula Weston who is here today to talk about the differences between the paranormal romance and urban fantasy genres so please give her a very warm welcome to the blog! What’s the difference between paranormal romance and urban fantasy? Both have fantasy/paranormal elements, and both can have romance. So where do you draw the line between the two? I find it an interesting question because Shadows – while not having what you’d call a traditional love story – is generally described as paranormal romance. But a couple of reviewers have referred to it as urban fantasy (notably Young Adult Anonymous: http://youngadultanonymous.blogspot.com.au/2012/09/review-shadows-by-paula-weston.html). It got me thinking. Of course, the definition of a book does not reflect its quality. You’ll find fantastic writing, characters and plotting in both genres. So it’s not a competition about which is better – just knowing what you’re looking for in a story. And then there are the crossover stories (paranormal/urban fantasy/magical realism/fantasy), from authors whose writing defies clear definition, like Maggie Stiefvater, Laini Taylor and Cassandra Clare. Personally, I enjoy both paranormal romance and urban fantasy – although I’ll admit I’m less inclined to pick up a book/series where the overwhelming emphasis is on the romance. But if that romance is part of an intricately built world with great characters and a page-turning plot, I’m in. For me, the relationship in Shadows between Gaby and Rafa is critical, but no more so than the wider story occurring around them. Gaby’s journey to work out who she is, who trust, and what happened to her brother are equally as important as her antagonistic relationship with Rafa. I also wanted to create a whole of host of supporting characters readers would care about as well. At the end of the day, though, the only thing that really matters is whether or not readers like a story – not what tag they give it. Thanks for a fabulous guest post Paula, this is a great explanation for the differences between paranormal romance and urban fantasy. I tend to find that paranormal romance stories usually have a romance that ties up within each book, so most paranormal romance series I read have a different couple as the focus of each book but there is usually an ongoing story in the background that ties all of the books together. With urban fantasy there may be romance (not always though) but there isn't usually a happy ever after by the end of the first book (possibly not even by the end of the series!) and the main character tends to remain the same throughout the whole series. That's just one of the things I look for though but like you said it doesn't really matter which label a book has as long as I'm enjoying the story. I'm a huge fan of both genres but what I look for most is great world building, characters I can like and relate to and an interesting plot - all things that were definitely present in Shadows so I was a very happy reader! So have you read Shadows yet? If so I'd love to know what you thought of it so leave me a link to your review in the comments! What genre would you put Shadows in? Do you read both paranormal romance and urban fantasy? Which genre do you prefer? How do you decide which genre a book is?